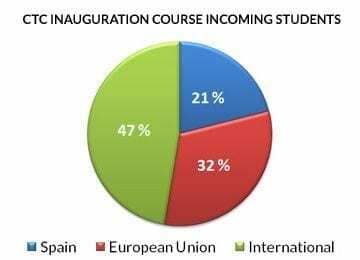 Three months after the launch of the course, we have practically fulfilled all places for the CTC inauguration course, that will have an important international presence. However, there are people interested in the course that do not have a place on it and September is still far way. So we have decided to carry a second edition of the course from 22nd to 26th of September, in order to be able to allocate everyone interested. This second course will have the same content than the first one. Early date registration for this course has been extended until the end of July, so if you have missed the opportunity to book a place in the first course, do not miss this second chance.